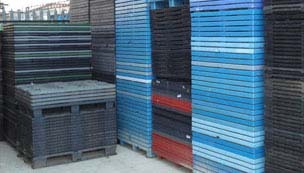 Here at Alpha we specialise in the supply of both new and reconditioned pallets, we currently produce around 10,000 each week, whilst recycling any that are beyond repair. With a wealth of experience, we have built up an excellent reputation within the industry; we are well known for our exceptional standards and pride ourselves on our high attention to detail. With a loyal customer base that spans the whole of the UK, we are dedicated to ensuring that we meet the expectations of each and every one of our customers, working quickly and efficiently at all times. 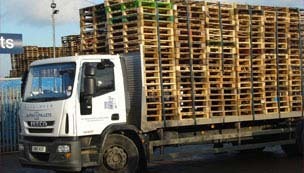 Established in 1988, Alpha Pallets is a family run business with a team of experienced staff and are fully trained in dealing with pallets. 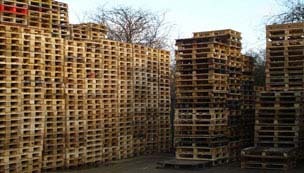 Every pallet we send out is manufactured to the highest of standards and our wide base of customers have been satisfied with our services for years. 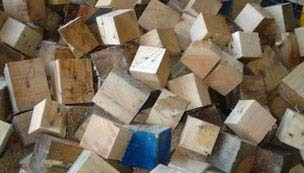 We strive to repair any broken pallet that comes through our doors; any reconditioned ones will be tested to ensure that they can withstand the correct weights, and irreparable pallets will be recycled to keep waste a minimum. Based in Northampton, we have a healthy client base in the local area and throughout Milton Keynes too. For more information on the services we provide please don’t hesitate to contact us on 01604 230579.